The Think Right program employs early learning methods which nurture the brain and develop synergy between both sides of the brain leading to superior whole brain development. 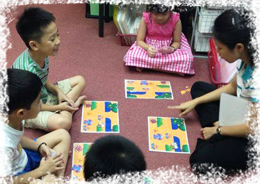 This is a unique program which deploys fun and enjoyable curriculum and activities to stimulate the brain right from early childhood. The right brain is your creative, intuitive, photographic best friend. The left brain is your logical, linear and methodical best friend. Now imagine your child who has not one, but two active best friends for life who will work in sync with each other. To me, this is the best gift you can provide to your child. Yes, that is where we at The Think Right program will take you through the journey. We will provide experiences to children through developing an ear for international music, exposure to multiple languages, speed reading, speed listening, eidetic memory, photographic memory games, intuitive games, leading to strengthening of certain circuits in their brain. Think Right believes that "Cells that fire together, wire together." Through our 55 mins, weekly lesson, we will infuse playful techniques to stimulate your child’s right brain, hence balancing out the lop sided left brain education being provided in our schools today. Maximizing brain capacity by making most neural connections through fun and enjoyable stimulation. Developing a trained brain making it friendly to figures, images, formulas, facts, sequences and particularly abstract knowledge. speech memory through the use of directions and colors. 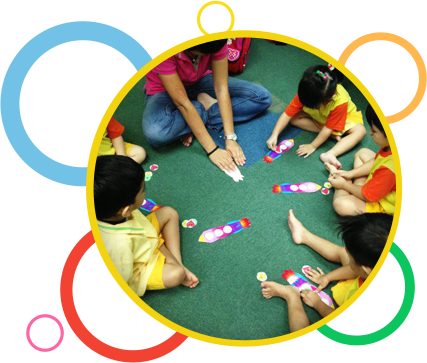 Left-right hand activation, balancing, hand-eye coordination, small motor skills, rhythmic play, space jumping, imitating physical movements and so on.